I’m sure you’ll agree that you didn’t get into blogging because you wanted to deal with a whole bunch of legal issues…. But unfortunately, there is some legal stuff you’ve got to take care of to both comply with various laws and protect your blog/business or self from liability. 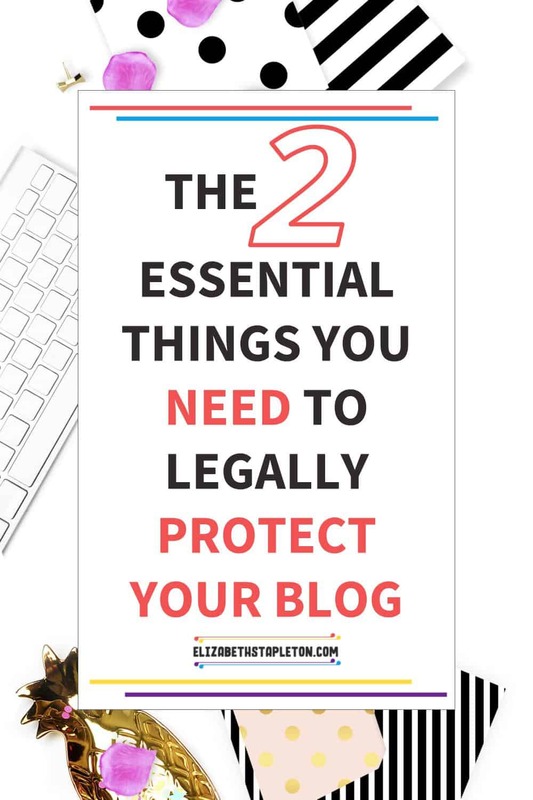 In this post, I’m going to break down the two essential things every blogger needs to blog legally. Sign up to join the community and receive my daily tips via email. Community members get access to exclusive discounts and freebies like my disclosures checklist - the top 10 things you need to have on your site's legal page! I’ve also got a bonus third thing you need if you’re selling your own products. While I am an attorney, I am not your attorney and nothing on this website or downloads available are to be construed as creating an attorney-client relationship. Additionally, nothing in this site or resources made available are to be considered legal advice. Content and resource provided on this site are meant for educational and informational purposes only. The author is not liable for any losses or damages related to actions or failure to act related to the content in this website. If you need specific legal advice, consult with an attorney who specializes in your subject matter and jurisdiction. Even if you want to ignore GDPR, there are similarly strict laws in some states that have the same requirement. You may think, you don’t collect any information. However, even if you just use google analytics or allow comments on your site, you are collecting information. advertising pixels, like using a Facebook Pixel for ads. Disclaimers are important because they limit your liability on the content you create. This can be especially important depending on what niche you’re in, for example, if you write about health or money. A disclaimer lets your readers know that the information you’re providing is for informational and educational purposes only and what sort of qualifications you do or don’t have to write in this area. Other disclaimers are important if you share income reports or testimonials because you’ll need to make clear that you cannot guarantee that someone else will have the exact same results. For example, for coaches and entrepreneurs who offer services or use testimonials or case studies. Other important disclaimers that bloggers must have is a disclosure about affiliate links on their site. This is required by the FTC (Federal Trade Commission). Failure to do so can not only get you kicked out of affiliate programs but also result in the loss of your earnings. If you want to be able to keep the money or products you earn from affiliate marketing you need to disclose your relationship. You know the saying, “My house, my rules”? Well terms and conditions are your set of rules for people using your site and products. It’s letting them know what is and isn’t allowed. Whether they are just visiting your site or if they purchased something. what behavior you allow in a forum or comment thread. It’s important to limit your liability for any errors or inaccuracies on your website and explain your refund policies, intellectual property rights, and your ability to terminate use of your website for any abuses at your own discretion…. Terms and conditions allow you to do all of that. Terms and Conditions also outlines what jurisdiction applies and what type of dispute resolution is available, should someone take issue with something you did. The first is to do a bunch of research and figure out what all needs to go into them. 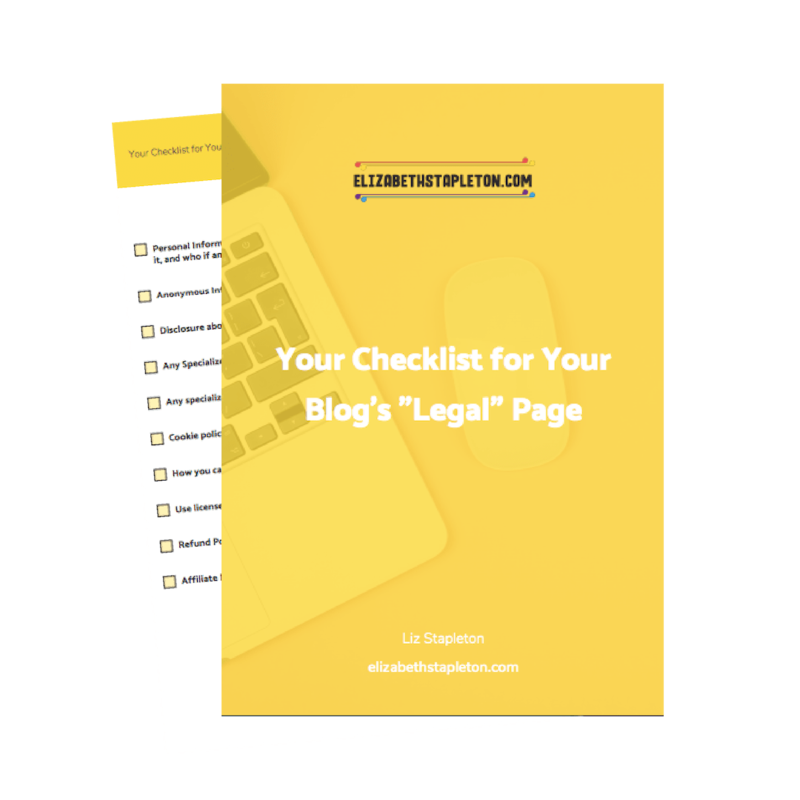 My 10 Thing You Need on Your “Legal Page” Checklist can help with that, but it would likely take up a lot of your time. The second would be to search for free templates. The problem with free templates is that they are free for a reason and they likely weren’t written by an attorney. They also likely don’t include everything you need to protect your blog and business. The third and most cost-effective way would be to purchase templates from an actual attorney who knows their stuff. That way you’re getting templates written by an attorney without having to pay for an attorney to actually customize them. You just take 30 minutes or so to read through and customize the templates. The fourth and final way would be to hire an attorney to draft these documents for you. If you can afford to do so, do it. If not then I’d recommend getting templates from an attorney. 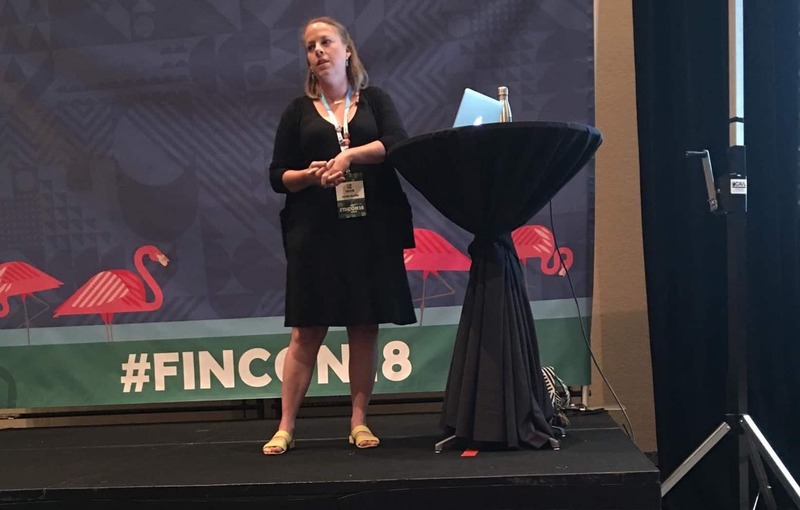 Well the first place I would recommend is my website, I am an attorney and I’ve spoken on the topic legally protecting your blog at conferences and virtual summits. If you want to learn more about the templates I offer, you can do so here. I hope this post helped you to understand the importance of such policies and if you have any questions, just let me know in the comments! Sign up to join the community and receive my daily tips via email. Community members get access to exclusive discounts and freebies like my checklist of the top 10 things you need to include on your website's legal page!